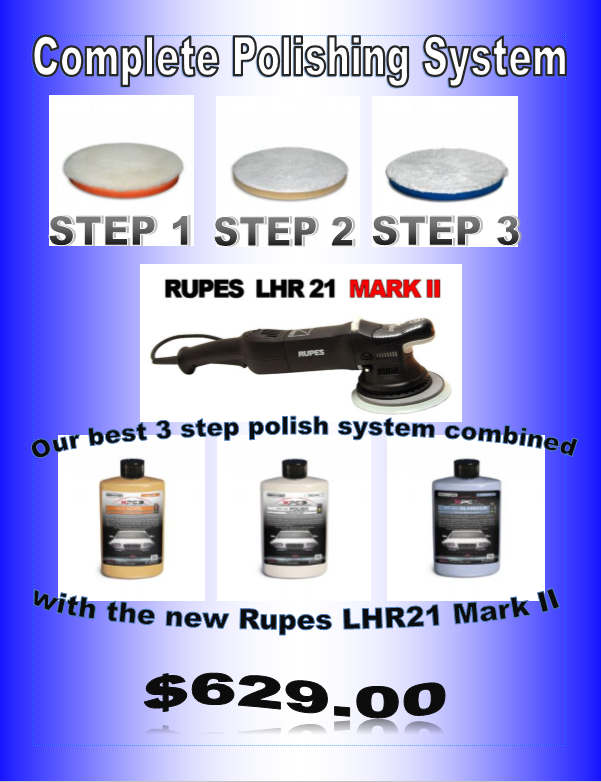 Promotional Package with all your Rupes shining needs. One of the first things you notice about a car is how good the tires look. 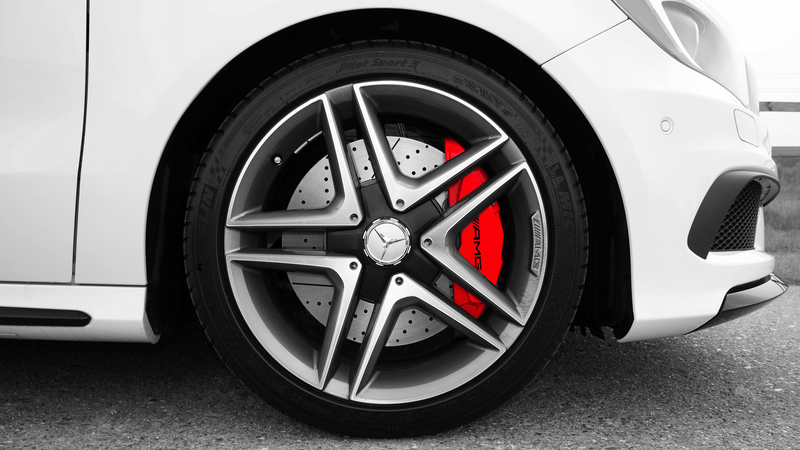 In the last few years, the gold standard in tire dressing was to make sure that the tires are black and shiny (to the point where they look wet for days after). However, lately there has been a new trend appearing: a matte or a low-gloss finish. High-Gloss can attract dust. Like we said, this choice is great for the frequent car washers because the results are long-lasting. But for the people who don’t necessarily want to wash their car frequently after it has been detailed, the tires might be the first place your notice dust and dirt. Safer Options. The shiniest dressings are usually solvent-based. They are flammable and not the most people-friendly products to apply. For the detailer, breathing in solvents consistently is bad for your health. Price Point. Usually a water-based dressing is going to be less expensive. It becomes even more economical because you can usually dilute it with water to get even more bang for your buck. If you specialize in detailing, it’s a great idea to ask your customers what they prefer. From our experience, people either “love it or hate it” when it comes to extremely shiny tires. To keep it simple, you can stick to something like Appeal Super Concentrated Dressing. It is one of our most premium dressings but becomes very economical once diluted. For those customers who love the shine, you can use it straight. For customers who prefer a low-gloss finish, you can dilute this amazing product up to 1:5. If you are looking for just a low-gloss finish, you might want to try Blue Sapphire Dressing. At full-strength it leaves a satin-gloss finish but it can be diluted 1:1 to leave even less of a shine. It is usually more popular for interior rubber and vinyl but for a lower gloss finish, it can definitely be used on tires. Finally, if you prefer a higher-gloss finish but are ready to try something new that is both safer to use and more economical, the Technician’s choice line has come out with a real break-through in their Blue Velvet System. The application on this product is incredible! Click here for a product description and video! WHY EVEN USE A TIRE DRESSING AT ALL? We know what you’re thinking. If the point of a tire dressing is to leave the tire shiny, why even bother with a low-gloss dressing why not just leave the tire squeaky clean? Dressings do more than just make the tires look good. They act as a protective layer on the tires. They catch dirt and dust before it hits the tire which makes for easy cleaning. Tire Dressing also prevents fading on the tires original luster and adds moisture to revitalize the rubber and prevent cracking. Due to the devastation of the fire in Northern Alberta, we have had many customers call and ask about smoke treatment for vehicles affected. 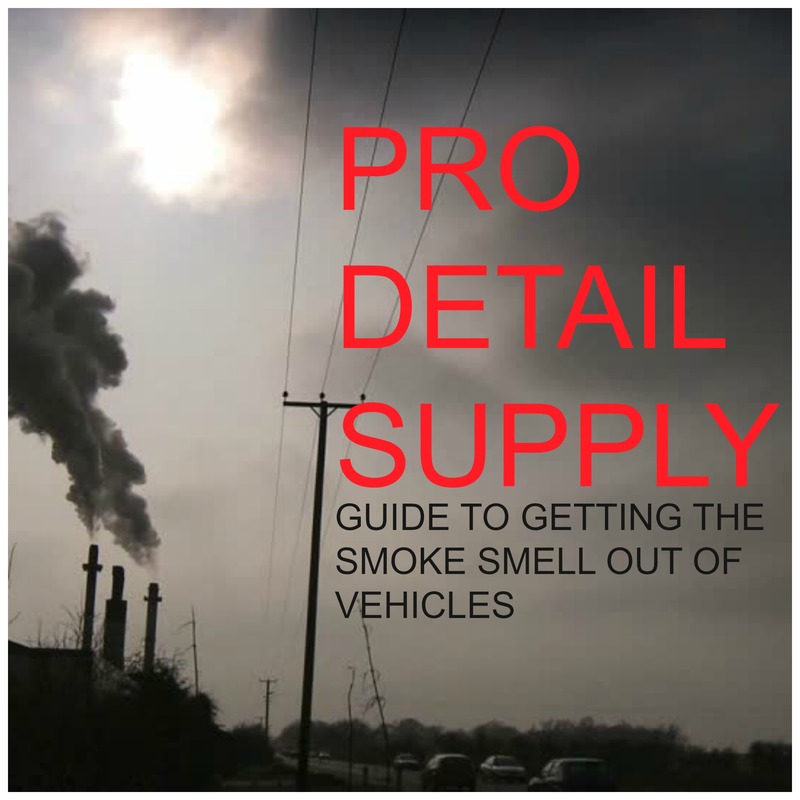 While some vehicles (and homes) will be too severe for the products we provide, we will share what we recommend for vehicle restoration for mild to medium smoke damage. For most of the vehicles affected, it will be a three step process. 1st Step: STEAM CLEAN THE INTERIOR. 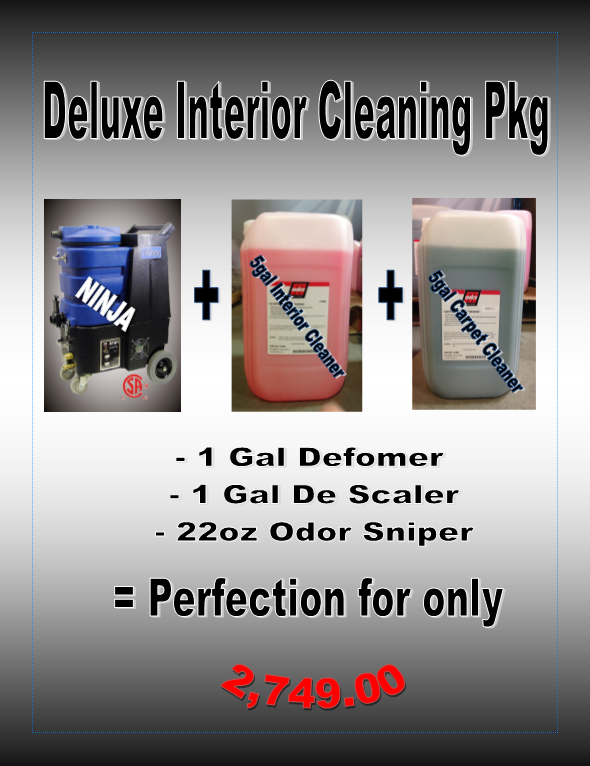 The first step to getting rid of any odor is to steam clean the vehicle to get rid of the source of the odor. Make sure to use a professional extractor with heat like the Ninja 150. We have also brought in Wall Wash which is a specialty smoke and fire restoration product that can be added to the extractor for added cleaning power/odor elimination. 2nd Step: Use a product or equipment that will neutralize any remaining smoke or odor molecules in the air. If you are just doing one or two vehicles, we recommend our Rid-It Eliminator Kit. It works by creating a chlorine gas which will produce a fog in the vehicle. Because chlorine is a small molecule, it can flow through the vents and into upholstery seats. If you are doing many vehicles, we recommend investing in equipment like the Uvonair5000. It produces ozone to neutralize odor molecules in the vehicle. An advantage to using this equipment is that there is no cost per treatment. 3rd step: Finally, you might chose to add a scent to the vehicle. If you are just doing one or two vehicles you should choose to go with an odor bomb. Our Odor Bombs have chemicals in them designed to neutralize any remaining odors as well as adding a pleasant fragrance to the vehicle. If you are doing many vehicles, we can’t speak highly enough of Our New Rid Odor Pro System. It leaves behind either a New Car or Leather scent. Click the link and watch the video of how it works here. Everything is available for purchase online however we are offering special discounts for businesses that will be working up in Fort McMurray and Northern Alberta to help the restoration process. Please call us for details on pricing or for any questions. Help us get the word out about these solutions!